Jessie Kyd has written a brave first-hand account of the traumas she went through as a young woman when she was falsely accused of sexually abusing a girl with special needs. Her book begins as she finished GCSEs aged 16 and goes on to further education, taking a job in a local shop as many young girls do. She gets involved with the owners helping them out with their children and gradually, over years, becoming part of the family; that is until a hospital investigation of their daughter Sarah after severe illness raises questions about abuse. What follows is a description of the worst that the state system of police and social workers can throw at people who have been accused of a crime but are completely innocent. Kyd’s book makes for uncomfortable reading for those who haven’t gone through this experience for themselves. We want to believe that the system is there to protect the innocent as well the children. What her book reveals is that often both are let down badly. For those who have gone through it (or similar) the book offers comfort, for Jessie Kyd describes experiences which are far, far too common and readers will recognise much of what she describes. It also offers hope as this remarkable young woman fought back and, with the aid of good legal help, managed to secure at least some victories in the battle to clear her name. At the very least, for victims of false accusations, she offers something which tells them “it isn’t just me this happens to”. I can’t overstate how important it is for victims to know this. I heartily recommend this book to anyone who believes “there’s no smoke without fire” and would like to be challenged about the erroneous infallibility of the British justice system and social services. 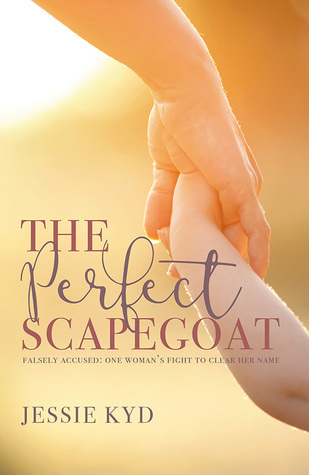 Furthermore, it is a must-read for anyone going through the trauma of false accusation or struggling through a task even harder – supporting someone who is. You can read my personal comment on some of the issues raised in this book here. Thank you for your wonderful words of encouragement. It is unfortunately a sad fact that this kind of abuse is largely unknown about in society. I hope the media start to run with it soon. please send a link here so we can read it!